GIRA's 9th annual Global Generations Grant is an opportunity for student leaders at Georgetown University to pursue their passions, engage others, and impact communities through self-designed projects in global affairs. We will award up to $3,000 in funding for selected Project proposals, up to $2,000 for selected Research proposal. Please see the information below to learn more about applying in our 2019 grant cycle. Also, please note addition of mandatory meeting with COO prior to application submission. All interested applicants should to reach out to Chief Operating Officer, Christopher Gyra, at coo@modelun.org with any requests to meet and discuss project eligibility or proposal details. Project Grants are proposals which include community engagement and/or programming related projects, within the parameters of the mission of the Grant. Research Grants are proposals in which a student or group engages academically with an issue, thematic or constituency area, within the parameters of the mission of the Grant. Content: Grants will be awarded to students pursuing a project or research endeavor generally related to youth education/and or empowerment, international development, cross cultural learning, and other areas related to the mission of GIRA. Application Components: Application (+ detailed budget), one meeting with COO to discuss proposal, and an interview. Eligibility: Georgetown undergraduate or graduate students during the 2019-2020 academic year are eligible to apply. Students graduating in 2019, faculty, and alumni are not eligible to apply. For more information, see eligibility policy below. 4/12/2019 - Applications due to coo@modelun.org by 11:59 PM. 4/14/2019 - Applicant interviews with GIRA board. 4/15/2019 - Announcement of grant recipient(s). ELIGIBILITY: All students that will be Georgetown undergraduate or graduate students during the 2019-2020 academic year are eligible for the Global Generations Grant. Students graduating in 2019, faculty, and alumni are not eligible to apply. Interested candidates may apply as individuals or on behalf of an existing organization (which need not be affiliated with Georgetown). Individuals or groups may submit up to two (2) unique proposals. Applicants do NOT need be dues-paying members of the Georgetown International Relations Club (IRC). Sitting and former Board members of either the Georgetown International Relations Association, Inc. (GIRA) or the Georgetown International Relations Club (IRC) are not eligible. We would like to extend our congratulations to the recipients of the 2016 Grant: Rachel Azafrani is working in Liberia to launch an app that will allow youth and youth organizations to map projects and volunteer opportunities, track progress relevant to UN Sustainable Development Goals (SDGs), and connect projects to funding sources. Michael Bakan is working in South Africa to empower youth and promote cross-cultural learning through art and storytelling. Lauren Gros is working in Paraguay to implement environmentally-friendly biodigester technology for cooking practices in rural villages, to replace wood-burning practices, and to educate villagers on the technology. In 2015, GIRA provided grants to Margot Feroleto, Kathleen Guan, Duy Mai, and Claire Charamnac. You can learn more about the 2015 GIRA grant projects below. 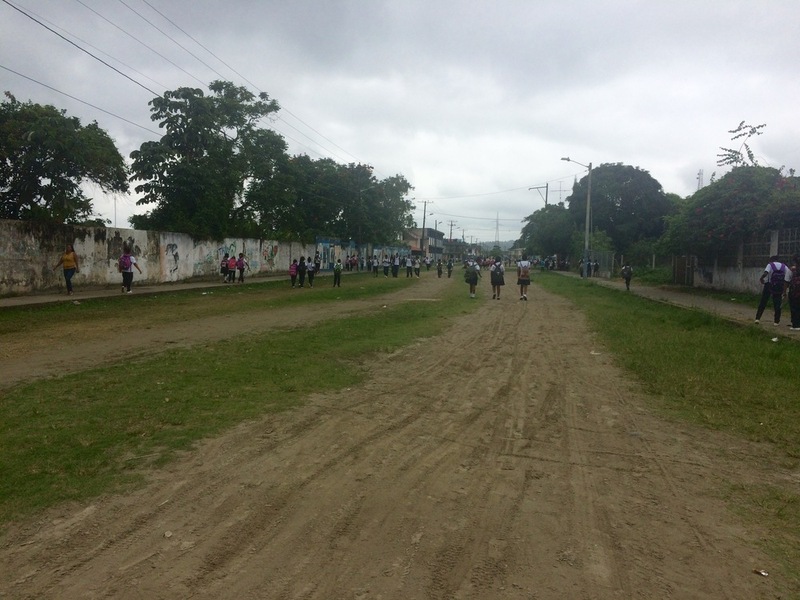 Water Ecuador is a small nonprofit run by college students and recent graduates. Margot began working with Water Ecuador in June of 2014 as a Summer Fellow. The organization now aims to study bottled water quality across Ecuador and other countries. Margot spent Summer of 2015 testing bottle cleanliness and looking at ways to best clean the bottles in a developing setting. She also engaged with the local community in Muisne by coordinating with various groups such to hold outreach events that bring the community together over health issues and raise awareness about WASH (Water, Sanitation, & Hygiene) issues. This past summer, VYMUN held its second ever conference... and it was a huge success! 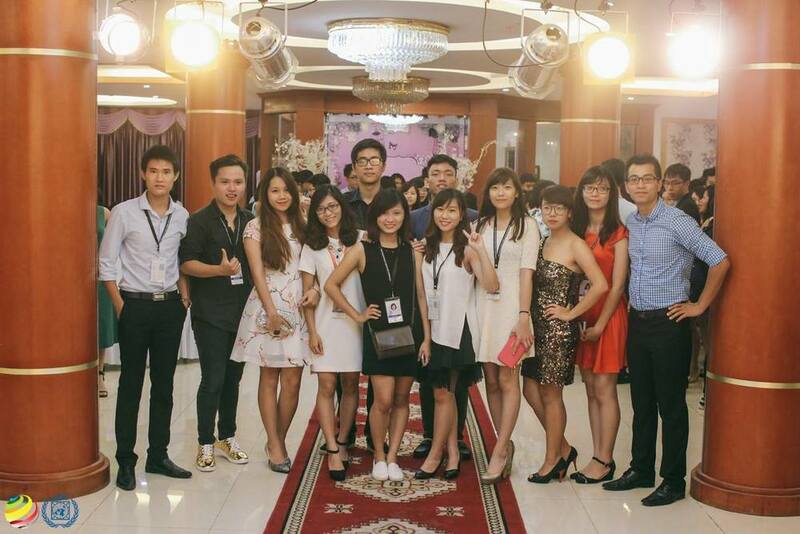 With over 300 applicants competing for 160 spots in the conference, VYMUN has quickly become the most anticipated and well-known Model United Nations conference in Vietnam. It's truly exciting to see this international organization growing and facilitating interactive simulations of international affairs. Kathleen Guan is the forum's founder and executive director, and had co-led workshops on East vs. West relations and gender equality this year. With a focus on (but certainly not limited to) China, YFDL, held in Beijing this past summer, is a forum that seeks to engage people of all paths of life in dialogue about social responsibility, youth leadership, and peace. The forum seeks to immerse participants at the core of global human rights issues and conflicts, engage participants in dialogue concerning diversity, youth leadership, and peace-building, as well equip participants with the skills and knowledge to be a "change-maker" in their communities. Please like our Facebook page to receive updates on completed projects and other GIRA initiatives. Please do not hesitate to reach out to coo@modelun.org for further questions and inquiries. CLICK HERE TO VIEW PAST GRANT RECIPIENTS AND THEIR PROJECTS.